Combines movement concepts with skills in small-sided practice tasks. To play, partners take turns shooting “3-pointers” to the opposite poly spot. Score points by hitting the spot. 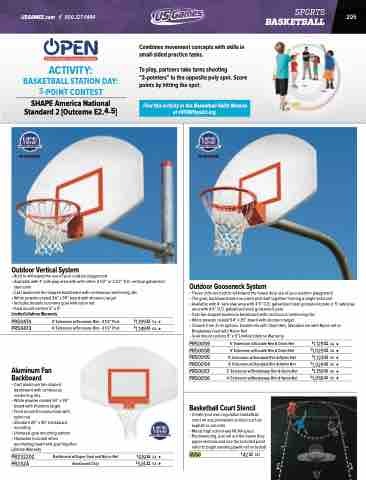 Find this activity in the Basketball Skills Module at OPENPhysEd.org.